There is no other place like Lake Tahoe. Sunny days in summer yield to snowy nights and powder skiing in winter. White sandy beaches with crystal clear, clean water lie beneath tall mountain peaks that retain snow cover well into the warm summer months. Swimming, sunbathing, boating, fishing, hiking, golf, skiing, snowboarding, beach volleyball, climbing, mountain biking, sailing, sledding, ice skating and more can all be enjoyed in the Tahoe basin, making it a wonderful vacation destination, and an even better place to live. 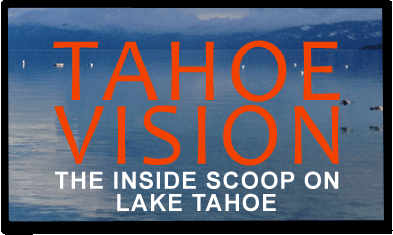 If you are thinking of buying into the Tahoe lifestyle, the real estate links and info on this page may be helpful to you. Tahoe City - a popular spot on the northwest shore of the lake, Tahoe City has a nice beach, lots of shopping and dining, and some apres ski nightlife. Benefits of Tahoe City include close proximity to Tahoe's west shores, Alpine Meadows and Squaw Valley. 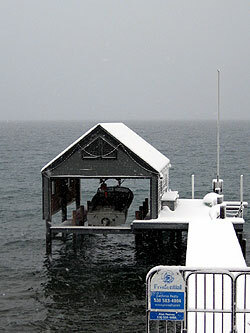 Kings Beach - a sunny 'banana belt' town in a on the north shore, Kings Beach gets less snow than other spots on the lake. Although property in 'KB' has been relatively affordable in the past, efforts to redevelop and recognize Kings Beach's charm are leading to investment in the area. Nice things about Kings Beach include the large, sandy beach, a location with easy access to Truckee and Carson City, and a sense of community. North shore between Tahoe City and Kings Beach, including Carnelian Bay, Dollar Point, and Tahoe Vista - beautiful scenery, nice homes in quiet neighborhoods, and many lakeview lots highlight this section of the Tahoe basin. Bigger, more expensive homes can be found in these areas. South Lake Tahoe - Tahoe's south shore has the benefits of a bigger town with plenty to do besides ski. Gaming, nightclubs, watersports and just about anything else you can think of can be found in South Lake Tahoe. There are many options for properties, ranging from condos to gated lakefront communities such as Glenbrook on nearby east shore. Squaw Valley - Squawlywood has real estate options in the form of homes in the valley, condos in the new resort-style village built by Intrawest, Squaw's older condos at the base of the mountain, and premium ownership options in the Squaw Creek Resort. Benefits of property in Squaw Valley include the nightlife and shopping in the village, beautiful, quiet scenery, access to hiking and horseback riding, and easy access to skiing. Alpine Meadows - the valley leading up to the Alpine Meadows ski area has many beautiful properties. Condos and houses are available, all with easy access to skiing. Alpine seems more likely to stay a quiet, residential area rather than develop into a fully commercial Vail-style resort. Northstar - Northstar is positioning itself as an upscale resort destination, with family style amenities and a new village with shopping and lodging. Golf, a swimming pool, workout facilities and more are benefits of ownership at Northstar. Truckee - a booming town off highway 80, Truckee is a hot spot for shopping, dining, and nightlife with easy access to several ski resorts, including Northstar, Squaw and Alpine Meadows. West Shore - quiet, secluded old Tahoe homes in the shadows of mountains can be found on Tahoe's west shore. The west shore of Tahoe is where parts of the Godfather trilogy was filmed. Clean mountain living with lots of scenery and snow make this a beautiful place to live.